Happy Halloween! Today I bring you a major treat, no tricks. 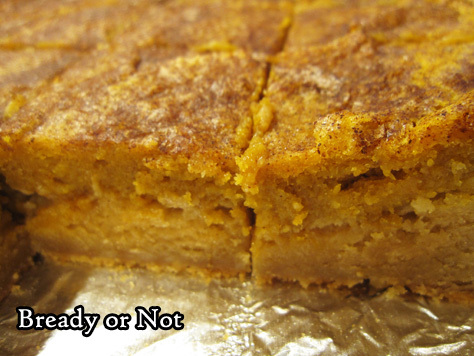 These Pumpkin Pie Snickerdoodle Bars will boggle your mind in the best kind of way. 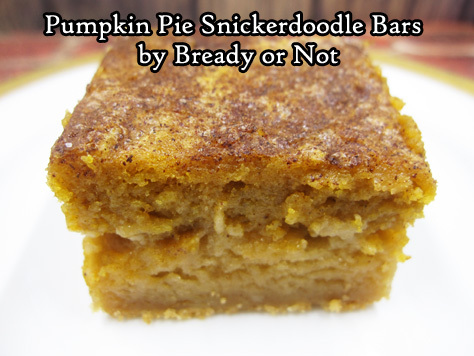 That’s because these bars really do, in fact, taste like a combination of Snickerdoodles and Pumpkin Pie. Crazy, right? And since those two things are delicious, that means these bars are REALLY REALLY GOOD. Not just the flavors, but the combination of textures. That’s because these are soft and dense, easy to eat in hand or with a fork. The ones in the middle might end up a little gooier, though. Not necessarily a bad thing. The list of ingredients looks long but it actually comes together pretty fast. The ingredients are so alike, I didn’t even bother washing the bowl and beater, which saved a lot of time and effort. This makes a full 13×9 pan, so this is perfect for a potluck or family gathering. They might get softer after the two day point, but they will still be tasty. 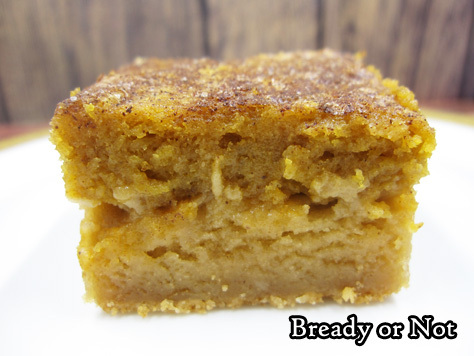 This recipe magically melds Snickerdoodle Cookies and Pumpkin Pie in a convenient, delicious bar. Make this treat to feed a hungry crowd! 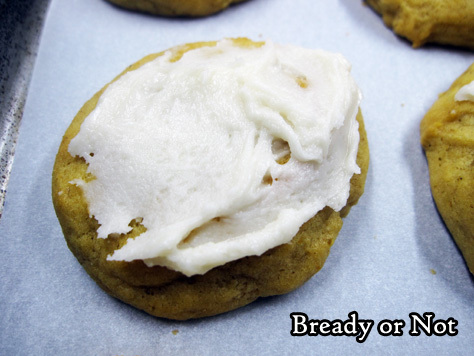 To make the cookie layer, cream together the butter and brown sugar. Once they are smooth, add the eggs and vanilla. Next, mix in the dry ingredients: flour, baking powder, salt, and cream of tartar. Spread the mixture evenly in the pan. Next up is the pumpkin pie layer. No need to wash the bowl. Cream together the butter and sugar followed by the eggs and vanilla. Add the baking powder, salt, pumpkin pie spice, and flour. 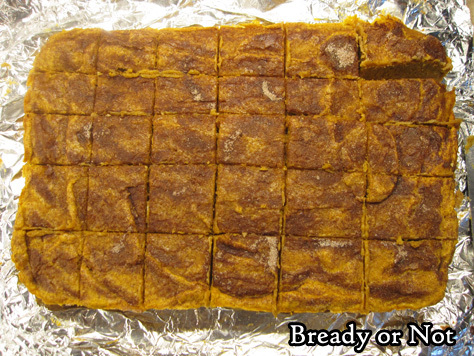 Once they are just mixed, fold in the pumpkin puree. Spread the everything over the cookie layer. Spoon together the topping and add it evenly over the top of the dough. Bake for 38 to 41 minutes, until toothpick inserted in the center comes out clean (though it may still be softer when cut). Cool at room temperature at least an hour, then chill in fridge for several hours. Use the foil to lift the contents onto a cutting board to slice up. Keep stored chilled in a sealed container between waxed paper layers. Best consumed within 2 days; bars get mushier after that, but are still tasty. Here’s the promo round-up for Roar of Sky as of October 30th; there will be more posts to come! Roar of Sky is now out and available everywhere. If it’s not in your local store, don’t walk away! Simply ask them to order it. You can request your library buy it as well (libraries are awesome like that). Of course, it can be found at all the usual suspects on the internet, too. Do you like soft, cakey cookies? Do you like pumpkin? Oh, do I have the recipe for you! 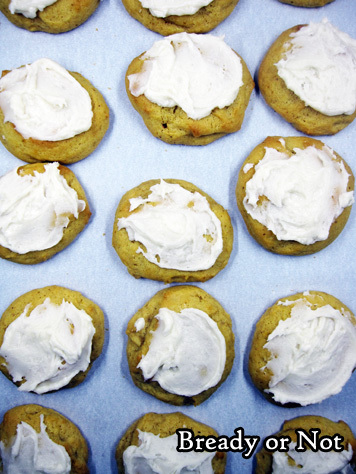 These Maple-Glazed Pumpkin Cookies are stunning. The cookies are soft and tender in the mouth, and the maple glaze adds just the right touch of sweetness. 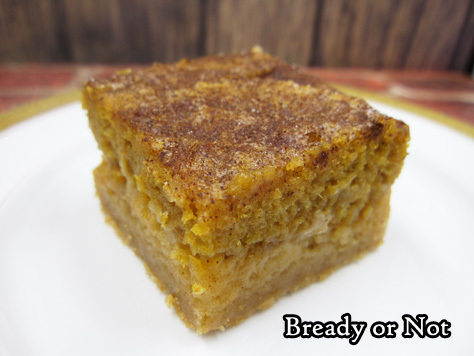 I’ve done this annual feature of pumpkin recipes for several years now, and I think this is one of my all-time favorite recipes. It’s not just that it tastes good–it’s textually pleasing, too. Do note that the dough needs to chill for a while, and even when cold, it can be difficult to work with. Be patient and prepare to have sticky fingers. Trust me, it’ll be worthwhile in the end. 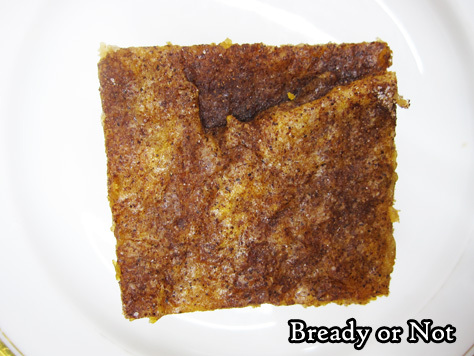 Modified from a recipe included with ads for Reynolds Parchment Paper. In a big bowl, beat together the white sugar and butter until pale and fluffy. Scrape down sides of bowl, then mix in vanilla and egg, followed by the pumpkin puree. Slowly stir in the dry ingredients. Cover dough and chill in fridge for at least two hours; overnight is fine. Preheat oven at 350-degrees. Line two baking sheets with parchment paper. Use a tablespoon scoop to place dollops of batter spaced out on the sheets; the dough will be sticky to work with. Bake cookies until golden brown, about 13 minutes. Let cool completely on sheets. 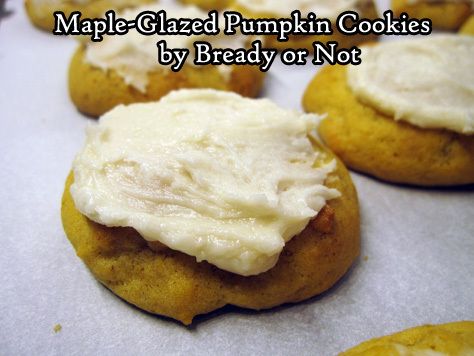 To make the maple glaze, whisk together the confectioners' sugar, butter, maple flavor, and a tablespoon of water. Add more water or sugar, as needed, to reach a thick yet spreadable consistency. 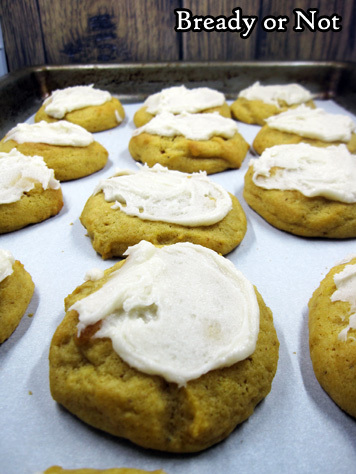 Use the back of a spoon to swirl a thin layer of glaze atop each cookie. 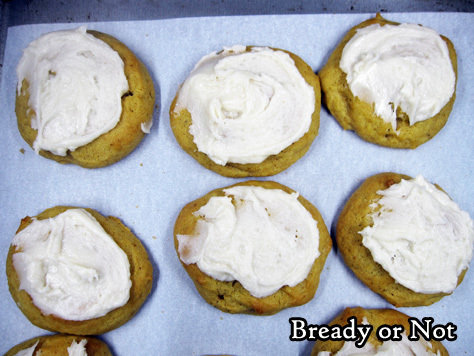 Store cookies, between layers of parchment or wax paper, in a sealed container up to 3 days. 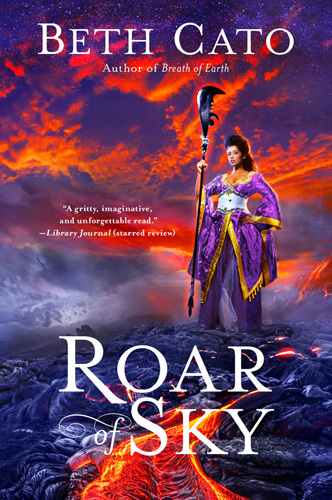 Want signed copies of ROAR OF SKY? Preorder now! Live near Phoenix? See me Sunday! 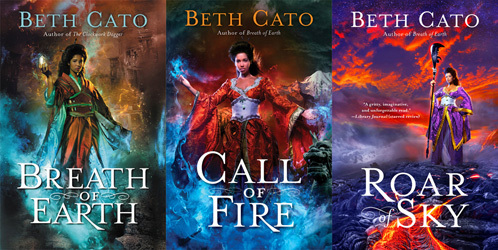 Posted by Beth on Oct 19, 2018 in Blog, public speaking, roar of sky | Comments Off on Want signed copies of ROAR OF SKY? Preorder now! Live near Phoenix? See me Sunday! On Sunday October 21st at 2pm, I’m holding a special release party for Roar of Sky at Poisoned Pen Bookstore in Scottsdale, Arizona. You can get the finale of my trilogy two days before the actual release date, plus you can buy most all of my other books there and get them signed, PLUS I’ll bring cookies. If you can’t attend in person, this event still might be relevant to your interests: Poisoned Pen ships worldwide. If you want to order ANY of my books signed, they can get those books to you. That includes Roar of Sky, still fragrant of fresh ink. I’ll sign all long-distance orders after my event is done. Poisoned Pen is dear to my heart and needs love and support. Hey, look around their website and you’ll likely find other signed books to order, too. They have an incredible selection.